Social Dimensions of Environmental Policy (SDEP), one of three strategic initiatives at the Beckman Institute, is pioneering global programs that advocate for and contribute to socially and politically sustainable solutions to society’s mounting environmental dilemmas. The environment is changing under the human footprint. Environmental change and environmental protections affect lives and livelihoods of resource-dependent people. A group of scholars based at the Beckman Institute are trying to find socially sustainable and just policy responses. SDEP conducts social-science research on the causes of environmental change; causes of social problems related to the environment; and on the making, implementation, and effects of policy solutions on society and the environment. The initiative’s first phase research focuses on two themes: climate-society interactions and environment-democracy linkages. 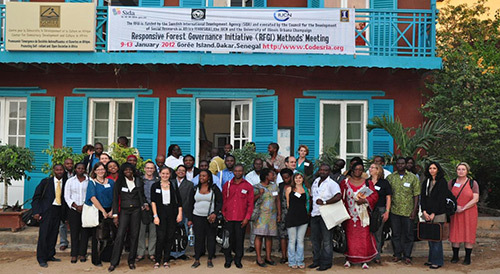 One of the programs led by SDEP is the Responsive Forest Governance Initiative (RFGI), which is a $4 million ($3 million Euro), three-year research and training program, focusing on environmental governance in Africa. The project is being led by three co-directors, three postdoctoral fellows, and 34 researchers working in 12 countries (pictured left). 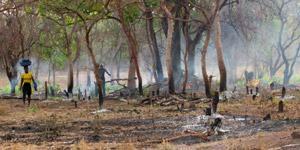 These researchers are analyzing the social effects of the United Nations “Reduced Emissions from Deforestation and Forest Degradation” program with the hope of making forestry policy more democratic, so as to enable Africans in forest-dependent villages to have a decisive role in forestry policies. RFGI is a collaboration between SDEP, the Council on the Development of Social Science Research in Africa (CODESRIA), and the International Union for the Conservation of Nature (IUCN). The research and analysis phase is coming to a close on the RFGI project, and Ribot and his researchers intend to develop the research into a handbook for carbon-forestry project implementation, ideal for practitioner use. 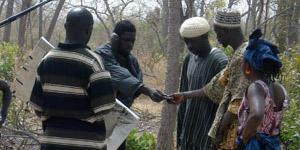 The handbook will guide the development of forestry policies that support local democracy. Another program SDEP directs is the Initiative for Climate Research and Understanding through the Social Sciences (ICARUS), which is a forum for exchange of research on the social causes of, effects of, and responses to global environmental change. SDEP is committed to furthering research on climate and society by responding to the call for greater social science engagement in discussion about climate change mitigation and adaptation. ICARUS is planning its fourth symposium to discuss the future implications of climate change. In the past four years, SDEP has organized more than 55 events, including seminars, symposia, and conferences, and has a dynamic schedule planned, including conferences on “Right to the Commons” in the Department of Spanish, Italian, and Portuguese at the University of Illinois; “Agricultural and Environmental Issues in Brazil” at the Lemann Institute for Brazilian Studies at the University of Illinois; and “Environmental Governance Indicator” with the U.S. Agency for International Development. A recent workshop SDEP hosted, titled “Advancing Socio-Hydrology, a New Science of People and Water,” addressed the grand challenge of freshwater security by bringing together both biophysical and social disciplines. Socio-hydrology is a new discipline that studies the interactions between water and people. Murugesu Sivapalan, a professor of geography and civil and environmental engineering at the U of I, hosted the conference in an effort to spread awareness. Throughout the three-day conference, attendees worked to elaborate, refine, and enhance their understanding of how water was connected with both biophysical processes (e.g., flooding and drought) and human behavior (e.g., irrigation and retention rates). As the population increases, and the availability of freshwater decreases, the diverse group of researchers studying socio-hydrology, in disciplines ranging from engineering to geography to economics, will provide decision-support information for water resources planning and management. Evidenced by this successful workshop, and many others they have hosted recently, SDEP has already built an influential and global foundation that will continually impact social and environmental policy. In the next two years, SDEP will focus on new collaborations, with sustained student engagement and more partnerships across campus and with Beckman faculty, in hopes of sparking broader multidisciplinary engagements at the University of Illinois. For more information on SDEP and future goals, read the 2013 SDEP Biennial Report.